The FG acoustic line began the heritage of Yamaha guitars, offering great entry-level guitars with deluxe features such as a rosewood fingerboard, diecast tuners, and a solid Sitka spruce top. Yamaha actually claims that the FG line is the most sold acoustic guitar of all time. although it’s quite difficult to verify this statement, the line has undoubtedly sold very well since its introduction in the 1960s. One of the big selling point for this guitar, besides the relatively low price tag, is its solid build. The Yamaha FG700S is has a Sitka Spruce top rather than laminate, which is great bearing in mind how important the top soundboard is to the actual sound produced. Any professional guitarist will tell you that having an acoustic guitar with such a solid top is quite huge. 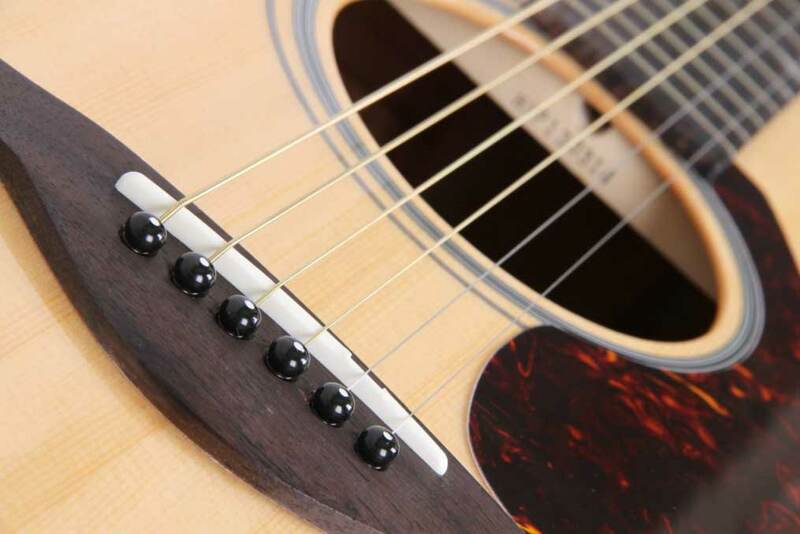 Although the FG700S is manufactured in China, its overall quality production process gives out a great acoustic guitar that is incredibly durable. The top of the Yamaha FG700S as we explained earlier, is made from a solid Sitka Spruce, which essentially has a thin natural finish and a nice grain. It doesn’t glare of smudge too much. The sides and the back of the guitar are made from Nato wood, which although not a particularly pretty choice, it finishes the design quite well. Nato is a common choice for guitars made in China, and other Asian countries because the wood is readily available there. It should not be taken as a bad thing, rather, it was worth mentioning that it’s not a premium choice for a tone wood. The fingerboard is made from rosewood, a popular choice for most acoustic guitars, due to the fact that it not only looks good but also functions well. Yamaha also uses a diecast chrome for its tuners, which allows for fine tuning without slippage. The Yamaha FG700S comes with many deluxe features, including a cool-looking tortoise pickguard attached to the Sitka spruce top. The famous dovetail neck joint popular with Yamaha guitars is here too, to make sure that the sound quality of the FG700S will be best. All of this comes in an ultra-thin high gloss finish. It has good looking tuning machines and headstock, making it a great choice considering its price. The Yamaha FG700S might leave you with some less than impressive visual appeal, but you will definitely appreciate its sound once you start playing it. Its large body effectively produces a thick sound at great volume levels. As standard, this acoustic guitar comes equipped with a set of D’Addario acoustic strings, which really complements the model very well. One of the key reasons why the FG line of acoustics have been so successful and popular as entry level guitars is how well they adapt to the different styles of music and playing. 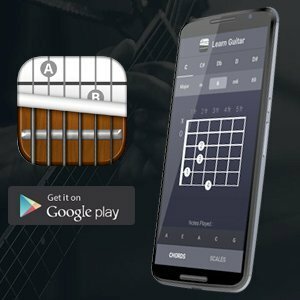 Whether you like to play blues, folk, rock, or even fingerstyle, the guitar will somehow suit each style without doing much work. Many people prefer to start with the Yamaha FG700S as a beginner instrument and will keep it up until they can spend a grand on a better guitar like a Taylor. That’s how good this model is; you don’t have to upgrade the FG700S. 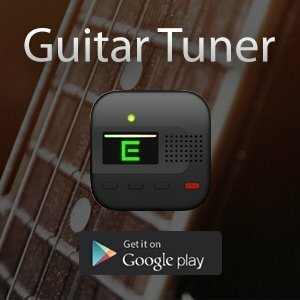 moreover, the most experienced you become playing the guitar, the clearer the tone will be and better the overall sound produced. If you love the kind of guitars that simultaneously get better with the skills of the guitarist playing on it, then this is your guitar. For an average-sized person, the FG700S will feel comfortable to hold, as it’s not bulky. The distance from the frets to the strings (the action of the guitar) is quite great actually, better than most guitars at that price range. What this means is that pressing your fingers down to create any chord won’t be difficult to do. The Yamaha FG700S is also a sturdy acoustic guitar, and it doesn’t feel any fragile. For this reason, you can happily play this guitar now and many years to come. The Yamaha FG700S is way above the “entry level” price tag. It’s certainly screaming for quality and could match up with a $500 model in the market. While the price is also a bit over the “cheap” tag, the features and quality the FG700S comes with are definitely worth. It’s a guitar that could easily cost over $400 if they put another logo on the headstock, say Seagull. Yamaha does a good job surprising us with their great electric and acoustic models. If you want a great guitar at a good price, then the FG700S is a great choice. Its versatility will let you play any kind of music from jazz to metal quite easily. Moreover, it manages to strike the balance between quality features and construction, and a budget conscious pricing.